Linda Luehrs Wolfe serves as the Dean of Sciences & Health Occupation (SHO) at Lone Star College-Kingwood. For more than 30 years, Luehrs Wolfe has held various teaching and administrative positions in higher education. She participated in the Chair Academy, part of the Maricopa Community College and El Paso Community College. She holds a doctoral degree in Educational Management and Development from New Mexico State University, a Master's degree in Education from the University of Texas at El Paso, and a Bachelor's degree from Doane College in Crete, Nebraska. She has a daughter who is currently attending college. 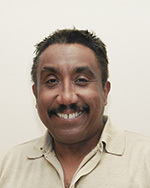 William Michael Clark, M.D., biology and healthcare professor, has taught at Lone Star College-Kingwood for 21 years. During his tenure, he has earned the Faculty Excellence Award. He is currently the Biological Sciences department chair; a steering committee member of the Leadership Academy and a member of the Scholarship Committee. "My training in biology and medicine enables me to teach anatomy and physiology courses and the pathophysiology course. I also lecture in the clinical departments," he said. "I have had a very enjoyable and successful career at LSC-Kingwood." Clark earned a Bachelor of Science degree from Baylor University, a Master of Science degree from Stephen F. Austin State University and a Master of Business Administration degree from the University of Houston. He earned his M.D. from the University of Texas Medical School at San Antonio and completed his residency at Tulane University. Crystal Elaine Weber, Ph.D., chemistry professor, is currently in her third year teaching at Lone Star College-Kingwood. 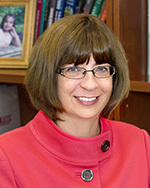 During her career, Weber has presented numerous papers and earned professional awards. She was also the Phi Theta Kappa advisor at LSC-Kingwood. 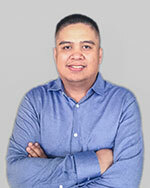 "I am passionate about the use of chemistry in health care and medicine. I enjoy showing my students how chemistry is relevant in their own lives and fields of study," she said. Weber earned a Bachelor of Science degree in chemistry and applied mathematics from the University of Tulsa. She earned a Master of Arts degree in chemistry and a Ph.D. in chemistry from Rice University. 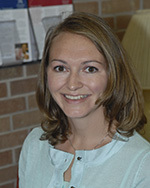 "LSC-Kingwood has given me the freedom and support to develop and continually improve my courses. There is a general feeling of job satisfaction and willingness to work collaboratively on our campus that is unique and powerful," she said.